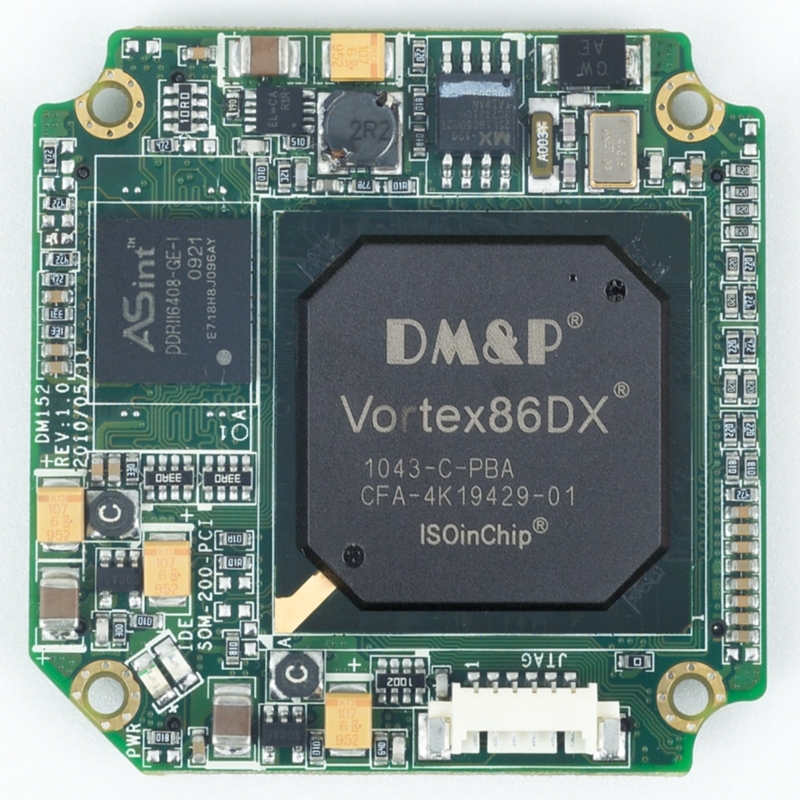 This 52mm² SoM provides VDX 800MHz with 256/512Mb DDR2, headless operation and integrated EMI shield. Available with integrated graphics (300MHz or 800MHz) and headless (300MHz or 800MHz) – with ISA or PCI expansion bus. Additional I/O includes GPIO, i2c, 10/100 LAN and hardware watchdog; with 5VDC power input and an operational temperature of -20/70°c, with -40/85°c industrial temperature range option. Prototype quickly with the SOM Development Kit.